The International Conference on “Photonics in Switching and Computing – PSC” is the successor of the well-known conference “Photonics in Switching – PS” running annually since 2001 and hosted by Europe, North America and Japan in turn. 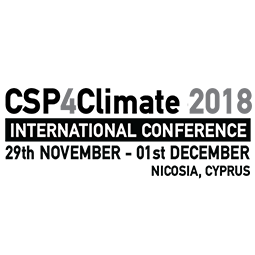 The University of Cyprus is organizing PSC 2018 in Limassol, Cyprus on September 18 – 21. Photonics in Switching and Computing addresses all aspects of optical interconnected network architectures, optical (sub-) systems, optical components and devices, and network management and control plane for telecom, datacom and HPC networks. Photonics in Switching and Computing will highlight the latest research activities in areas related to “Photonics in Switching and Computing” and will be presented in an environment that is conducive to in-depth and open discussions of the trends in this area. Research topics include optical switching technologies that allow dense integration of photonic and electronic functionalities operating side-by-side; various aspects of photonics in computing systems; optical subsystem technologies and architectures including optical signal processing, integrated advanced modulation schemes; optical-code translation, label switching and processing; and optical networking and computing architectures and systems including optical cross-connects and interconnects, reconfigurable optical add-drop multiplexers, optical packet and burst switching routers, rapidly reconfigurable networks and next-generation protocols and architectures.